Did Google Just KILL Everyone’s Instream Ad Click Through Rates? Google recently announced on their blog that InStream ads was going to change… A LOT! But what about current InStream Ads out there? Do they still work with these new changes? If not, is there something we can do to make them work again? And what are the opportunities and challenges presented by all these new changes? I must admit, when I first saw Google’s article published, I kinda freaked out. With all the new changes proposed, my mind was just going in a million directions trying to figure out all the implications. 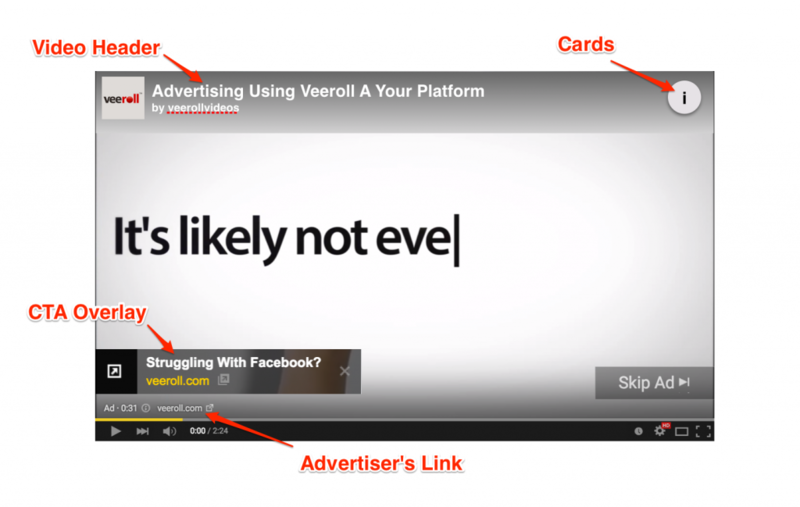 What would this mean for advertisers using InStream ads? Would it mean our click through rates would plummet? Would it mean we’d have to go look for other traffic sources? Would it mean that all our hard work up till now was wasted? All these questions and thoughts were mulling over in my head, and I was certainly very unsure about the looming new changes that were about to happen. So, when I saw the changes finally, but very quietly, implemented a few days ago, I had a certain sense of nervousness about it all. The first thing I noticed was that the click through rates of ALL our instream ads dropped dramatically. For example, one campaign went from a 49% click through rate* to a 4% click through rate overnight. (*Click through rate measured as clicks over views). As you can imagine, I was kinda stressed. Because not only were my own campaigns affected, but I knew also all current Veeroll members… and also ALL other YouTube InStream advertisers all over the world would be affected. But then… some light appeared at end of the tunnel, and I realised this change is actually the best thing that could have happened for all of us. I the past, InStream ads didn’t really work all that well on mobile devices… mainly because you were not able to have clickable links or annotations on pre-roll ads shown on mobile. So basically, if you wanted to run your video ads on mobile devices you were kinda stuck with just going for a branding grab and cranking up views as fast as possible! And so, in the last 2-3 days all of this changed. Originally Google said they would bring the changes in May, but were very vague with details, and left all of us guessing A LOT as to what the exciting new formats would EXACTLY look like and how they would work. A few short paragraphs was hardly enough to really get a deep understanding and implications of all their changes. In the olden days (as in about 2-3 days ago), advertisers were able to very easily create InStream video ads where the whole video area would be clickable throughout the whole video. For many advertisers interested in driving traffic to their sites, this was just a godsend. It really was so cool to have one’s entire video clickable and sending people to your Destination URL. But of course… that is now something of the past. One MAJOR change is that the whole video is now NOT clickable like it used to be. Instead, you get other NEW options, giving advertisers A LOT more flexibility. As you can see, it’s a little bit more complicated now to get clicks from your viewers. But don’t worry… we’ve found an easy way to STILL make your InStream video ads clickable wherever you want… at least on Desktop (not sure about mobile yet – gotta do more testing). What should advertisers do with their current InStream Ads where they ask people to click on a certain part of the video? How should advertisers proceed effectively using the new options? Create an annotation in your video ad for the area that you want to be clickable and send them to the url associated with your YouTube channel where your video us hosted. We thought so too… and we were massively relieved that it actually worked in our tests! It basically means that we don’t have to completely stop all of our previously created InStream ads and create new ones. Instead, all we have to do is go into each video ad, and create some annotations linking back to our associated website. If you want to send people to more than one website using this method… well the only way we’ve figured out so far is to simply create more YouTube channels and then associate any new websites to those channels. It’s kind of a pain, but it seems to work fine from our initial tests. Of course, at the time of writing this at least, the above method will work for both old InStream video ads as well as newly created InStream video ads with the new options. Will you have to pay for these clicks or not? Google’s little post the other day did not mention how this variation of annotations would work on mobile. So to be safe… if you want to use this method, make sure you set your ads to only run on Desktop for now. As a final thought for this part… even though it’s a pain that the whole video is not clickable anymore when run as an ad… what we didn’t have before at all was the ability to have annotations inside our ads. And now we do. Just think about the opportunities now… you can add the annotations wherever you want inside your video ad, both location and time wise. AND… you can even have more than one annotation or call to action in there. All up so far, this change is definitely for the better. Yes I know it’s annoying when any kinda change comes about. But I definitely think advertisers will benefit greatly here. And besides… there is more good news of course! Going forward, for any new InStream ads you create, you’ll have a lot more options to make your video ads interactive. You just need to make sure you adjust your call(s) to action so that it works with the newly introduced options. Create a call to action inside your video as normal, but then make sure you add your own clickable annotation to your associated website. Our existing Veeroll templates should work just fine using this method. But make sure, for now, for this option (whether you’re using the Veeroll video templates or not), that you set your ads to only run in Desktop as these annotations may not work on mobile. Create some kind of an arrow or point viewers towards the “Advertisers Link” at the bottom left of the video for your call to action so people can click on your link in that area. What’s neat about this method is that you wont have to bother with creating separate annotations. And also, you can just send people straight to your destination URL without having to go through the rigmarole of creating a new YouTube channel for each new destination URL. Our new Veeroll templates will take care of this for you very very soon! Use the new Card system as your call to action, and make sure you point people to the top right area of the video. We’re also working on some new Veeroll video template ideas that will work with the new Card system. 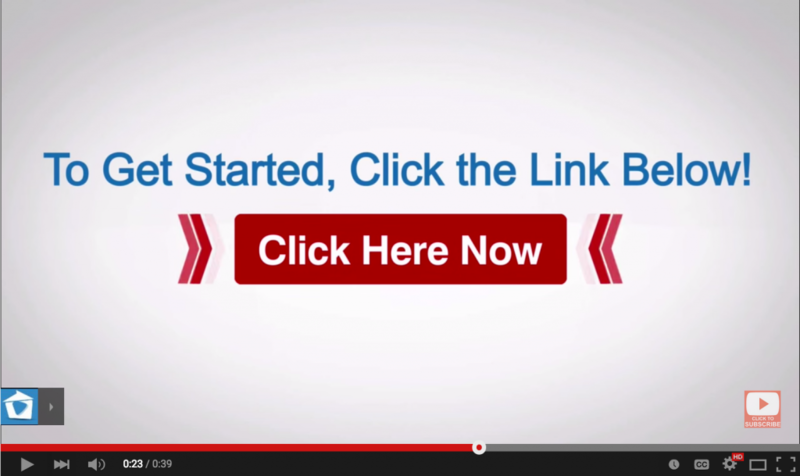 Create a “Call To Action Overlay” for your video and ask people to click on that. My understanding is that you’ll only have this option available if your YouTube channel is associated wit your Adwords account. The neat thing about this option though, is that you still seem to be able to add any Destination URL (as apposed to only the link to an associated website for your YouTube channel). The video below shows you how to set this up quickly. Get people to click on the companion banner next to the video. Note though, that companion banners only show up on Desktop as far as I can tell… so it would look kinda dorky if you point to some non-existent banners when people view your ad on a mobile device. And finally, you could get people to click on the video header at the top left if your video… but this will simply take them to your video watch page where it is hosted on YouTube. So that would be kinda pointless unless you want to just drive more views to that specific video. Or of course, you could use a combination of the above options. Just keep in mind that the annotation option (Option 1 above) may only work on Desktop. Phew! This really is something right? At first when I saw this change I was rather annoyed and perhaps even a little frightened. But then the more I looked into it, the more awesome I realised the change actually was. And I am not just saying that cos I am a YouTube Ads fan boy. Once you fully grasp the significance of the new changes, you’ll realise that advertisers now have a MUCH more flexible way of running InStream video ads – and as a result, will be able to get EVEN better results! Now it’s your turn to go and play with all these new possibilities! Go and grab your pearls! PS: If you’re not a Veeroll member yet, and like what we’re doing here, head on over to our home page and check it all out. You can become a member for less than a coffee a day! Click here to check it out now.